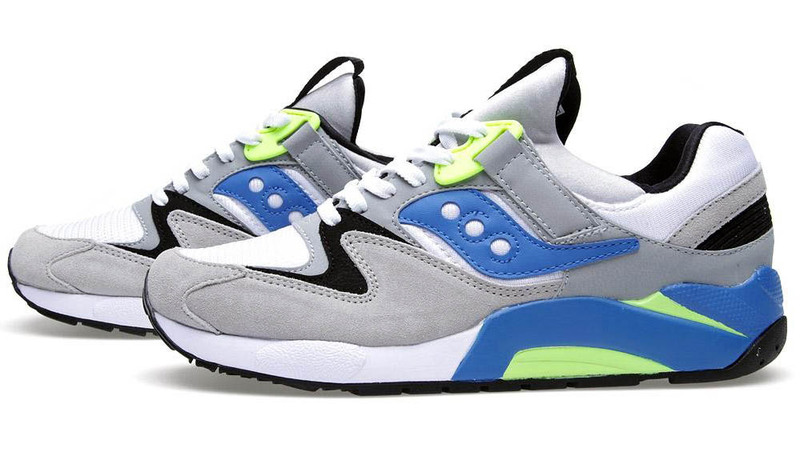 One of Saucony's most popular silhouettes returns in another clean look in grey, white and blue. 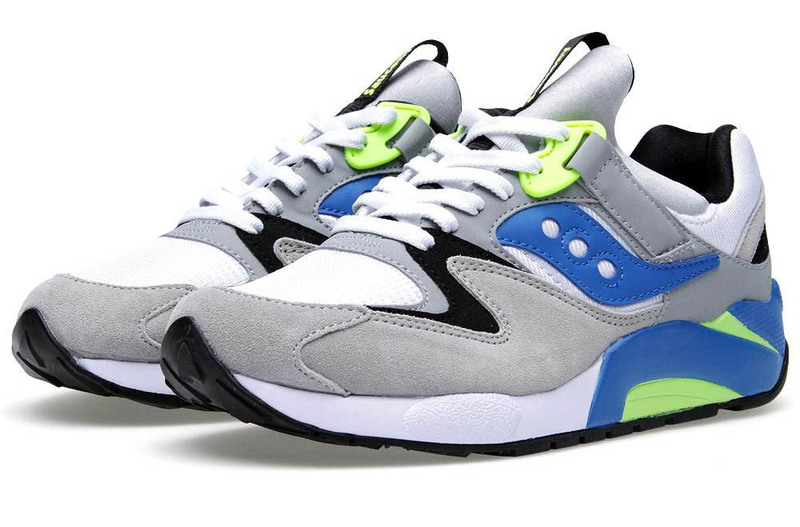 One of Saucony's most popular silhouettes returns in another clean look with this latest colorway for the Grid 9000. 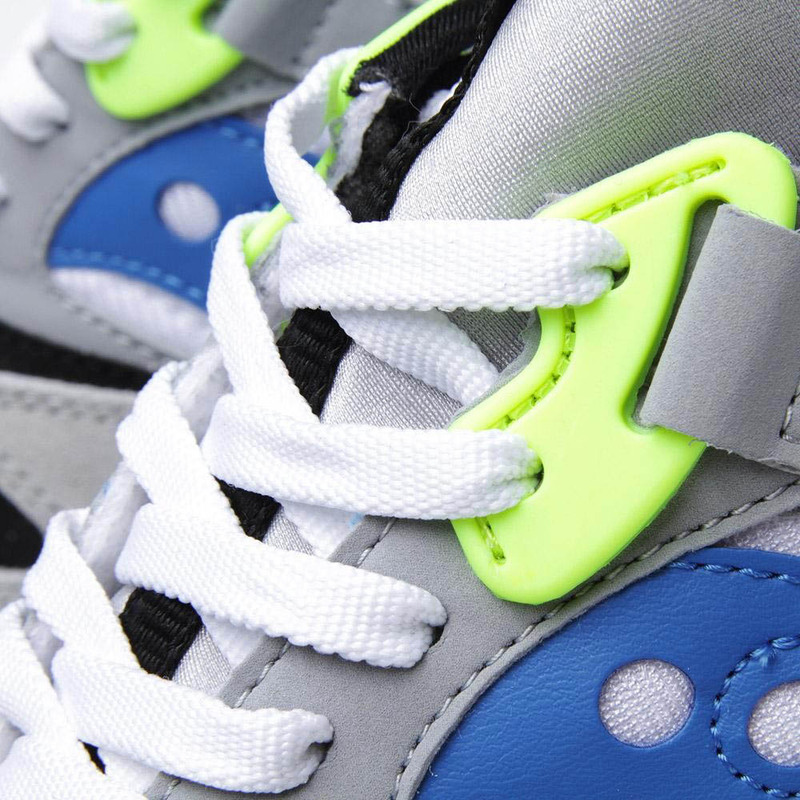 This version of the Grid 9000 features a light grey based upper with accents in black, white, blue. a neon yellow Citron hue adds an extra pop of color and ties the shoe back to its early 90's origins. The suede, Nubuck and mesh constructed upper is cushioned with Saucony's Grid system, visible within the outsole. 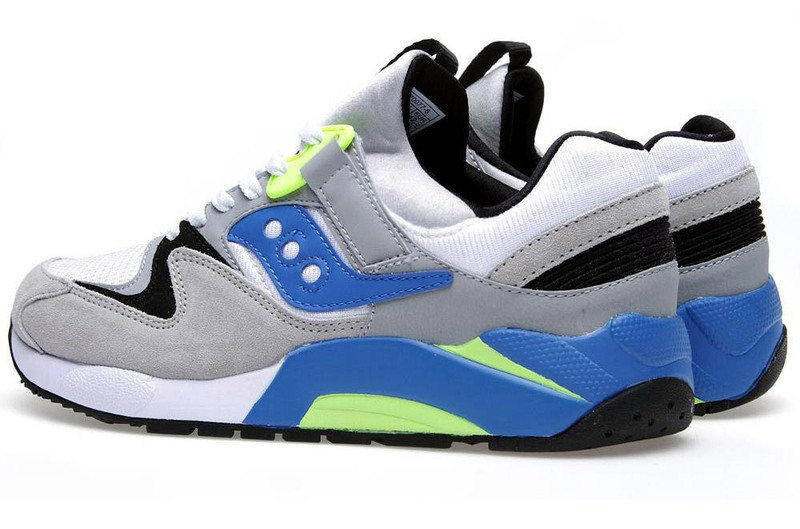 Look for this Grid 9000 now at select Saucony retailers, including End Clothing.